I'm bringing you a new site series all about my silly little motivational post-its. 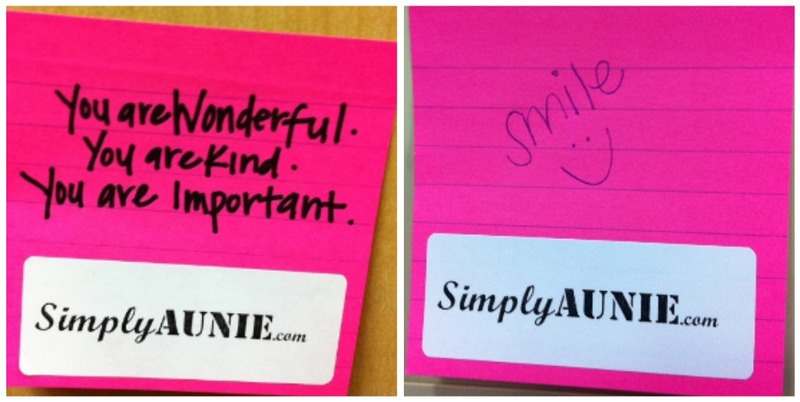 I will show you the post-its I created and the fun places where they ended up... hence, the Aunie AD-ventures! awwww.....I kinda' want one now:) You've inspired me. I shuold totally do this! Awww, this is so cute! Kinda reminds me of the "Operation Beautiful" project. Either way, I'm sure it made a few people smile! It makes me so happy that I've found someone else who leaves little notes of encouragement around!